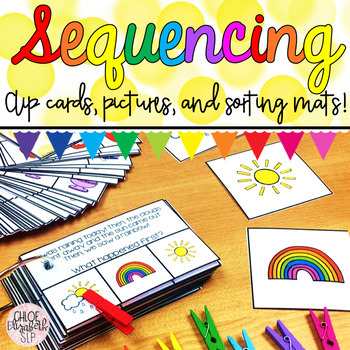 Sequencing Clip Cards and Sorting Mats! 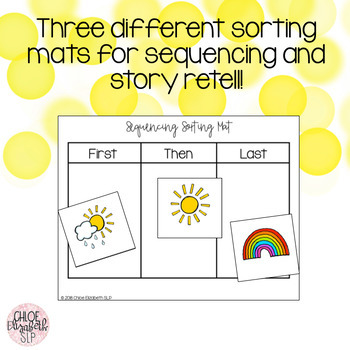 Target sequencing, story retell, sentence formation, and more with these sequencing clip cards and sorting mats! 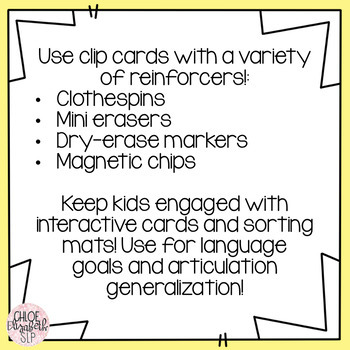 Use clip cards with clothespins, dry-erase markers, mini erasers, magnetic chips, and more! 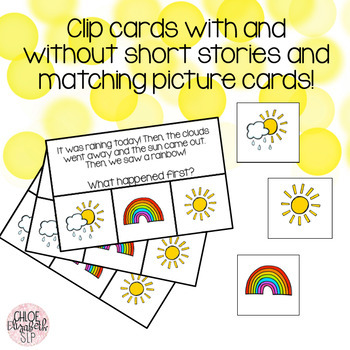 They are great for keeping kids engaged and actively participating in therapy! Please check out some of my other language resources!